While the world’s Olympic athletes prepare for combat in the sports arena, the British Army is preparing to handle more serious attacks, in part by placing missiles on London rooftops. Fred Wigg Tower isn’t among London’s 20 tallest buildings. In fact, at just 17 stories, it’s barely 155 feet tall. (In contrast, London’s tallest, the Shard, is more than 1,000 feet.) But what the East London public housing project lacks in height, it makes up for with location, location, location: The building has one of the best vantage points across London’s Olympic Park. The tower, which hosted a rooftop battery of missiles during a test deployment in early May, is one of six sites chosen to have rooftop surface-to-air missiles during the 2012 Summer Olympic Games; it’s the first time that missile batteries have been positioned inside London since World War II. 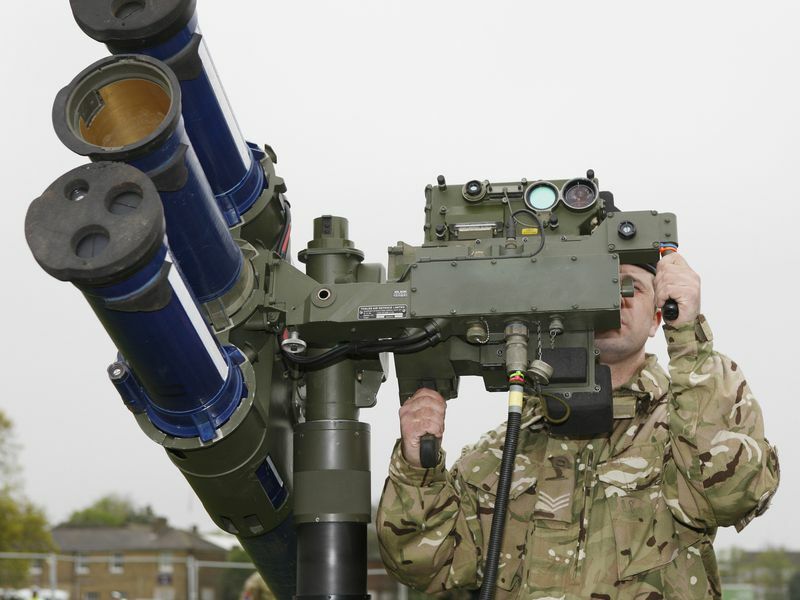 British Army Gunners set up a Rapier air defense system at Blackheath, London, during Exercise Olympic Guardian, May 2012. Photograph by Cpl. Dylan "Bob" Browne, RAF; Crown Copyright. Not everyone is dismayed by the thought of missiles dotting London’s landscape. The Telegraph reported that one Duncan Simpson posted video of himself at the controls of an anti-aircraft missile launcher on his Facebook page. “After a couple of points this evening the army kindly allowed my friend and I to have a play with their weapons of mass destruction up on Blackheath ,” he wrote. The Rapier surface-to-air missile, with a range of five miles, is capable of shooting down a 747 passenger jet.